CARPETS PLUS offers our customers a wide range of carpet, but we also carry the latest styles in hardwood, vinyl, VCT, LVT, laminate, ceramic tile, and natural stone and all in colors to suit every taste and lifestyle imaginable. Our extensive network of suppliers aid us in providing unlimited choice at resonable prices. Our partnership with MultiFamily Solutions by FloorExpo gives us an exclusive program with Armstrong, Shaw, Beaulieu, Tarkett and Mohawk each of which is uniquely tailored to the multi-family market segment. 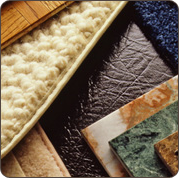 We offer a wide variety of carpets from the top manufacturers: Shaw, Mohawk and Beaulieu. We participate in the Core Product Program through MultiFamily Solutions which partners with key carpet manufactures to provide the best-performing broadloom products in the industry. That means savings for you. Plush pile carpet has a very soft, velvety look and feel. You can expect plush carpet to show the imprint of your footsteps and the trail of the vacuum cleaner. Saxony carpets are a well-known favorite. They are durable yet bring an elegant feel to any room. Similar to Plush, it is popular in a traditional or formal setting and will show footprints and vacuum cleaner marks. Technology has brought the durability factor up for the Saxony carpet. You can find textured carpets in patterns and solid styles. The textured style is a great choice for high foot traffic because of its construction of twisted fibers. Frieze carpets are constructed with highly twisted fibers that result in excellent durability for high traffic areas. The fibers are short and curl in various directions, which easily hides footprints and vacuum marks. The level loop construction has loops of the same height, often with printed patterns on the smooth surface. The lower density construction allows the loops to be farther apart which provides an illusion of texture. The textured loop carpet is produced with slight variation in the loop height which creates patterns and texture. Also, variation in the color of the fiber enhances the visibility of texture. Very similar to the textured loop in style, the multilevel loop carpet offers more pronounced texture with more height variation in the loops, even without color enhancement. This type of loop pile carpet is extremely durable. The loops are uneven and can vary in color. Berber carpet can also have a patterned look woven into it. Fiber technology has softened the feel of Berber over the years offering a more luxurious feel and can be used with great style. Cut and loop pile carpet is constructed with a combination of yarns - some loops are cut while others remain uncut - to create patterns and textures. The most predominate loops are cut while the uncut loops create the pattern. This type of carpet is durable, easily hides stains and soils, and performs well. Still the most commonly used fiber in carpet today because it is strong, recyclable, and readily available. Nylon’s strength is important for traffic paths and when changing out furniture where depressions are left behind. Mohawk and Shaw have the most well known brands with Stainmaster and Wear Dated types respectively. Polyester fiber has a long chemical name: Polyethylene Terephthalate, but still falls in the class of fibers known commonly as polyesters. This PET fiber, however, has a higher melting point and is more resistant to abrasion then in the past. 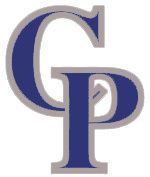 The fiber is made from PET chips, some of which come from recycled plastic containers. Recycling does not affect the quality if the fiber. PET products have a softer feel then nylon. Shaw, Mohawk and Beaulieu are leaders in PET fibers. PET products clean easier then nylon, but need to be kept vacuumed to keep the product from matting and crushing. Mohawk recently received FTC approval to market this fiber under its own class known as SMARTSTRAND (trademark). This PTT fiber is known as TRIEXTA. PTT fiber is stronger than PET polyester, has better colorfastness but cleans as easily as PET. This fiber is soft, yet performs like nylon. Olefin is an inexpensive fiber. It performs well in wear tests if the profile of the pile height is low and looped. Looped pile carpet is sometimes mistakenly called Berber. Olefin is an inexpensive alternative for common areas. 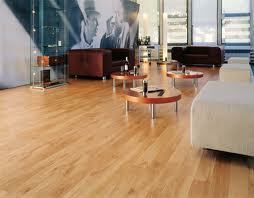 Luxury vinyl comes in individual planks that look like hardwood, or in tiles that look like natural stone. The individual pieces look and feel real – they have texture and graining variation which give the product real definition. Vinyl flooring has evolved. With today’s state-of-the-art technologies and digital designs, you can now find exceptional vinyl floors in every imaginable color, style and pattern. And whether you’re looking for a natural looking ceramic or stone design, the look of hardwood or a chic geometric pattern in colorful hues and textures, you’re sure to find it at CARPETS PLUS. 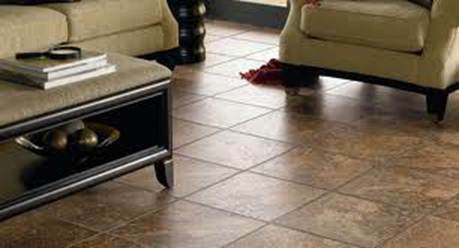 Offering a wide selection of beautiful vinyl flooring options, you’ll find tremendous value and affordability in our assortment of vinyl floors that are durable and resistant to stains, spills and scuffs. While the look and durability has changed dramatically over the years, vinyl flooring has remained a great value and highly adaptable option for any look you can imagine. We offer a varied selection of other sheet vinyl products from Armstrong, IVC, Mannington and Congoleum. Laminate flooring (also called floating wood tile in the United States and Canada) is a multi-layer synthetic flooring product fused together with a lamination process. Laminate flooring simulates wood (or sometimes stone) with a photographic applique layer under a clear protective layer. The inner core layer is usually composed of melamine resin and fiber board materials. 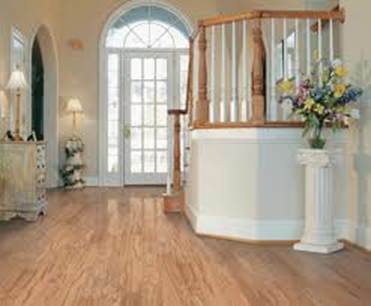 Armstrong or Shaw Laminate Flooring. It only looks like the real thing. Distinctive grain. Authentic texture. Realistic looks create the dramatic beauty and design sophistication found in our laminate floor collection. Durable, affordable and can be installed anywhere in the home - that's the real beauty of Armstrong or Shaw laminate floors. What Is Pre-finished Wood Flooring? The term "pre-finished" referes to wood flooring products that have a factory applied finish coat and are ready for installation right out of the box. Board thickness can range from 1/2" to 3/4" with 3/4" being the most common. is more subjective but usually is dependent upon color variation allowed and average board length. Width availability usually ranges from 2-1/4" to 6" with board lengths between 12" to 78." We carry a variety of hardwoods including Bruce ,Mannington and Columbia.